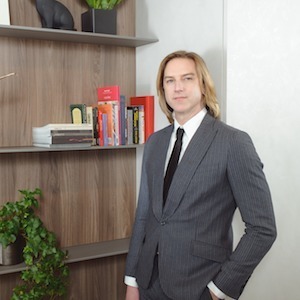 Shaun Moskalik began his career in real estate obtaining his degree in Finance from Loyola University. Originally with the intent to enter Commercial Real Estate Finance, he found a greater joy in helping people locate and purchase the home of their dreams. Fast forward to 2019, Shaun has over 20 years experience and has earned his ranking among the top agents in the city. As a part of the award winning Home Discovery Team from 1997-2019, the team has closed $100 million a year, beginning in 2012. Now, he works with Lauren Traficanto and Nik Spayne in the Bridge International Team at Compass. Originally from Michigan, Shaun still has strong ties there including business relationship and partnerships, which keep him very actively involved in the community. Those relationships have built a strong Michigan client base, and many own home or properties in both states. Moskalik now resides in West Town, having moved there in 2002. Being a long-time resident of Chicago, with more than 2 decades of experience in Real Estate he appreciates the importance of lifestyle and how it directly relates to where you live. In his off-time, Shaun and his husband enjoy Philanthropy, Contemporary Art (both are members of the Society for Contemporary Art) and the Art Institute, Fashion, Travel, and all the cultural events Chicago has to offer! With this move to the Bridge International Team, Shaun is delighted to have joined a team of professionals that are the best in the industry. Shaun believes that success comes from developing strong relationships with good people and he will go the extra mile to make things happen. His passion and commitment to his clients enrich the entire real estate experience and ensure a smooth process to home ownership.